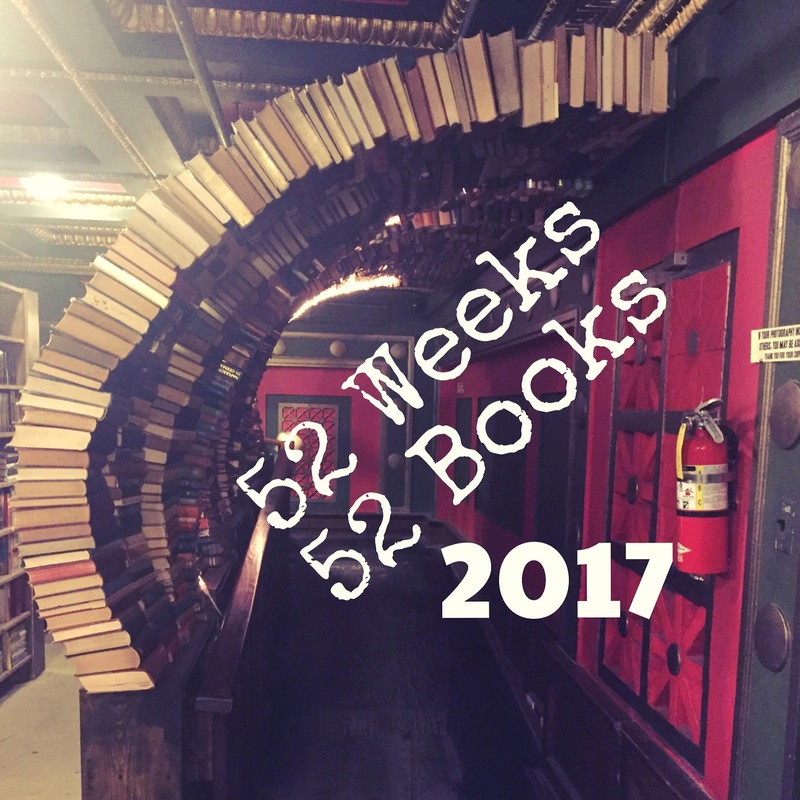 My Wandering Life: A Bookish New Year! Happy New Year from Shanghai! Ours was completely low key. We had a friend over and made my traditional New Years Eve Loaded Baked Potato Soup (recipe here) while watching an animated film none of us have ever heard of previously called Kubo and the Two Strings. Evidently it came out last summer everywhere else in the world, but is just now making its way to China. It was strange and unique and fantastic, and if you didn't see it and want a treat for the eyes and mind, check it out! I never really do New Year's Resolutions. They are weird and silly and don't really work. In the past I've set more of an intention or a goal and have pretty much been wildly successful with those. This year I'm writing a LOT, working on a book of my own. So I decided to set a goal of that has to do with books, creating a 52 Weeks, 52 Books Challenge. I read every day, and I read very quickly, so it's not going to be a huge difficulty (I hope). It's only January 3rd and I've finished one book and am in the second to last chapter of a second one, and have two long haul flights coming up in the next 45 days so I'll be able to get ahead in case life gets in the way and I slip behind later in the year. It got a lot of interest and people were interested in playing along, asking a bunch of questions about "the rules." Oh golly, I hate rules. I really don't care what kind of book it it, how long it is, what language it's in, what genre it is, if it's audio, electronic, or paperback, etc. As a writer, I just want to encourage people to read more books, in any form! For me, I find it a little challenging to get real, tangible books here in Shanghai. English language books that have been imported are prohibitively expensive and then we have to actually figure out what to do with them at some point (we moved from a large-by-china-standards flat into a small-by-our-standards flat this summer) and have really only one bookcase we can devote to letting books take up real estate, so it's not a great idea to buy them. I got a Shanghai Library card right after we moved here, and no exaggeration, went through the entire collection of English language books that I had any desire at all to read within the first seven months of using it. Being an expat and part of the Expat Circle of Life (see here and here), we often get other people's discards when they go to move and can't take heavy, bulky books to their next destination, and so my collection of not-yet-read books is wildly eclectic and varied. I won't read romance and don't really care for westerns, and have found that I can only handle a handful of self-help/inspirational non-fiction books per year unless the writer is a great storyteller and it's not just a dump of dry data. But other than that, I love to read pretty much anything. I'll post the books on my Instagram account and maybe here. We'll see. Sometimes it takes as long to get into this website and post a simple blog post as it does to read an entire book, so... who knows. Do you have any goals for this year? Did you recently read a book that is SO AMAZING that you need to share it with me? Did you get any books for Christmas? I did, I did! Hope you had a wonderful holiday season and that 2017 is a great year for all of us!